The first tripod stick in the world! No need to handheld. 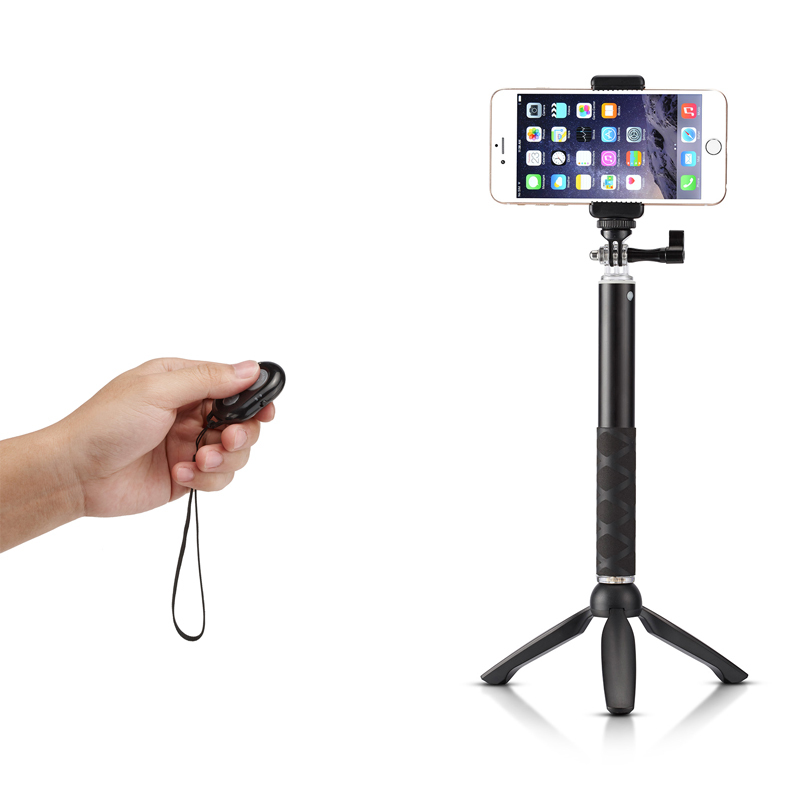 Just remove the tripod, and it becomes a normal handheld selfie stick! Fits most smartphones in variety angles! Safe, Stable. Compatible with most iOS and Android smartphones. 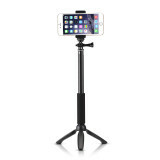 You can use it as a phone stand, and just put it there to watch videos, facetime and have fun with friends! Record your amazing journey and daily life! Great for group selfies. 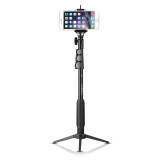 Take photos up to 10 meters distance! These features brging you more excellent experience. 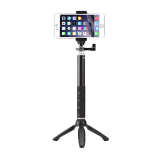 Versatile to use with a smartphone, GoPro or regular digital camera. Works with nearly all cameras around you! Retracted to a short length to put into your backpack or purse. Extendable to reach long distance to get more people into the picture! The large phone holder fits most hot selling smartphones. Just 3 steps to setup the selfie stick. We provide you with a Limited 30-Day Warranty for free. Awesome product. 3 in 1 (Mono-pod, Tri-pod and Selfie stick with Bluetooth) for my Samsung Galaxy Note 4. Works excellent. Well done! This is a great buy! Excellent quality and workmanship. Very solid! I couldn't be happier! Great price. Came quickly. Works well. Obviously, it works great for the usual picture stuff, but I really look forward to using it in film applications as well. It's ability to work with GoPros, combined with its nifty Bluetooth remote, opens the door for multiple uses. I look forward to fun experiments in both photo and film! The first tripod selfie stick in the world! Bring you the best experience in using selfie stick.